Florida Fruit & Vegetable Association Chairman Paul R. Orsenigo announced that Mike Joyner has been named as the organization’s new president effective Oct. 15. Joyner’s experience in agricultural and environmental issues runs deep. 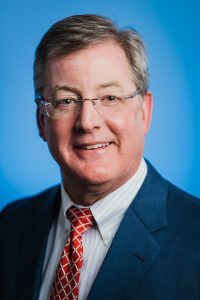 Most recently, he served as assistant commissioner of agriculture and chief of staff for Agriculture Commissioner Adam Putnam, helping to lead the state Department of Agriculture and Consumer Services for almost eight years. Before that, Joyner represented clients throughout Florida and the United States before the Florida Legislature and state regulatory agencies. He also served in public affairs and environmental affairs positions for The St. Joe Company and Progress Energy (now Duke Energy) and worked as chief of staff for the Florida Department of Environmental Protection. The 75th FFVA convention took place this week. Following Joyner’s announcement, AgNet Media’s Josh McGill caught up with Mike Stuart. He discussed Joyner and why he is a great choice for this position.